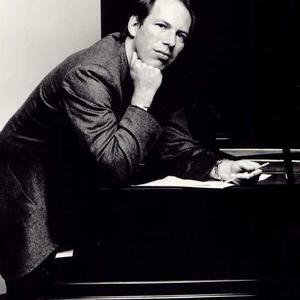 Hans Zimmer (b. 1957) is a German-born, Los Angeles-based musician and film score composer. Zimmer was born in Frankfurt am Main, Germany on 12th September 1957, and moved to London as a teenager. While he lived in London, Zimmer wrote advertising jingles for Air-Edel Associates. Zimmer began his musical career playing keyboards and synthesisers. In 1980 he worked with The Buggles, a New Wave band formed in 1977 with Trevor Horn, Geoff Downs, and Bruce Woolley. Zimmer can be briefly seen in The Buggles music video for "Video Killed the Radio Star" (1979). Soon afterwards, Zimmer began working on his own solo projects. During his solo career years, Zimmer experimented and combined the use of old and new musical technologies. His first solo score was for Chris Menges's film "A World Apart" (1988). However, the turning point in his career came later that year when he was asked to compose a score for Barry Levinson's film "Rain Man" (1988). In the score, Zimmer uses synthesizers mixed with steel drums. The score was nominated for an Academy Award in 1989. A year later Zimmer was asked to compose a score for Bruce Beresford's "Driving Miss Daisy" (1989), which won a Grammy Award 1991. In 1994, Zimmer won his biggest commercial hit for Disney's "The Lion King" (1994). He wanted to go to South Africa himself to record the soundtrack, but couldn't because he had a police record there for making subversive films. "The Lion King" soundtrack won numerous awards, including an Oscar, a Golden Globe, and two Grammys. It was then adapted for the Broadway musical version, which won the Tony for Best Musical in 1998. He has received numerous honours and awards, including: Prestigious Lifetime Achievement Award in Film Composition from the National Board of Review, Frederick Loewe Award in 2003 at the Palm Springs International Film Festival, ASCAP's Henry Mancini Award for Lifetime Achievement, and BMI's prestigious Richard Kirk Award for lifetime achievement in 1996. Today, Zimmer is considered to be the father of integrating the electronic musical world with traditional orchestral arrangements.